The killing is the sixth domestic-related homicide this year in Prince George's County. 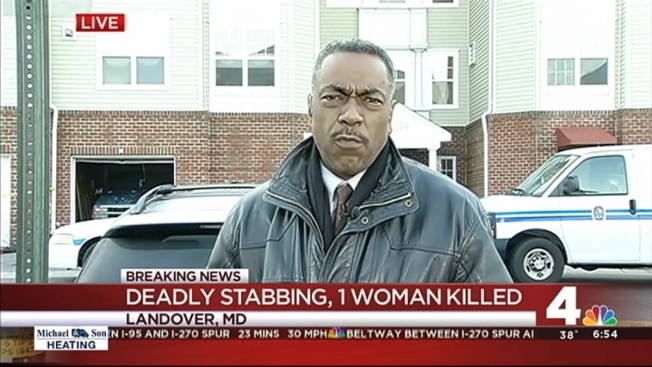 A 23-year-old woman was killed and another woman was hurt in a stabbing Monday morning in Landover, Maryland, police say. Santa Lizama, 23, was pronounced dead at the scene. The second woman was taken to an area hospital with non-life-threatening injuries. Daniel Leonard Weste, 23, was arrested in connection to the homicide, and was in a romantic relationship with Lizama, Prince George's County police said in an update Monday night. Weste, of Oxon Hill, admitted his involvement in the killing, police said. The killing is the sixth domestic-related homicide this year in Prince George's County, including the fatal shooting last month of elementary school teacher NeShante Davis and her 2-year-old daughter after a dispute over child support payments. Officers were called to the 3100 block of 75th Avenue just before 3 a.m. for a report of a stabbing. When they arrived, they found two women suffering from stab wounds inside the Overlook Garden Apartments Building. Investigators said early Monday they believed the crime was not a random act. Residents in the area told News4 they want tighter security, including cameras that record, building doors that lock and increased police patrols. Weste was charged with murder, attempted murder and related charges. He is being held without bond. Anyone with information is asked to call police at 301-772-4925. Callers who wish to remain anonymous can call 1-866=411-TIPS or visit www.pgcrimesolvers.com.